Western Province and the Sharks will be aiming to book their places in a ‘replay’ of last year’s Currie Cup final, writes CRAIG LEWIS. These teams went head-to-head just four weeks ago, and yet the complexion of this rematch has been significantly altered with the return of several Springboks to bolster each side. Although the Lions suffered a 37-21 defeat in Durban back on 22 September, the backbone of the team has been strengthened ahead of this semi-final clash. In the pack, Warren Whiteley will add considerable leadership and experience, while superstar Aphiwe Dyantyi slots on to the left wing. The pairing of Ross Cronjé and Elton Jantjies has also added additional stability to the backline, so there is sure to be an element of quiet confidence as the Lions swagger into Kings Park. In response, the Sharks will know the importance of making an emphatic, physical start to proceedings that prevents the Lions from building any belief. The Sharks themselves have been bolstered up front by the recent return to fitness of Jean-Luc du Preez and Coenie Oosthuizen, who will play off the bench, while fellow Springboks Akker van der Merwe and Thomas du Toit will slot into the front row. Undoubtedly, the hosts will be looking to make a serious statement in the forward exchanges. Earlier in the season, the Lions were outmuscled by the Sharks in a wet-weather battle, and it’s notable that heavy winds and some rain is predicted for Saturday once again. The Lions have made it clear that they have no intention of moving away from a characteristically ambitious approach on attack, but one would expect there to be at least an element of playoff pragmatism this weekend. The Sharks have also opted for the more conservative option of starting Rob du Preez at flyhalf, with Curwin Bosch reverting to fullback, and they will look to test the Lions with a high-percentage kicking game. This has all the makings of a compelling clash, but it’s the Sharks who should be most confident of claiming victory on their home ground. Golden Lions – 15 Sylvian Mahuza, 14 Courtnall Skosan, 13 Lionel Mapoe, 12 Howard Mnisi, 11 Aphiwe Dyantyi, 10 Elton Jantjies, 9 Nic Groom (c), 8 Warren Whiteley, 7 Pikkie de Villiers, 6 James Venter, 5 Marvin Orie, 4 Rhyno Herbst, 3 Jacobie Adriaanse, 2 Pieter Jansen, 1 Sti Sithole. Subs: 16 Tiaan van der Merwe, 17 Danie Mienie, 18 Chergin Fillies, 19 Vincent Tshituka, 20 Hacjivah Dayimani, 21 Dillon Smit, 22 Shaun Reynolds, 23 Wandisile Simelane. Last weekend, Western Province claimed a 34-7 win over the Blue Bulls in a match that was reduced to just 40 minutes as a result of inclement weather conditions. Ironically, Saturday’s rematch will be played in warm and clear conditions in Cape Town, but what remains the same is the fact that Province will be overwhelming favourites to secure a home final. Province have looked a class apart this season as they’ve racked up six successive bonus-point wins, with their positive points difference ending up over 100 more than that of the second-placed Sharks. As dominant as the defending champs have been this season, it’s been a largely underwhelming campaign for the Bulls, who have suffered three losses and three defeats, but still managed to sneak into the playoffs. A major focus area for the Bulls this week would have been to rectify the issues that haunted their scrum, which completely disintegrated last weekend as WP props Wilco Louw and Ali Vermaak delivered a set-piece masterclass. 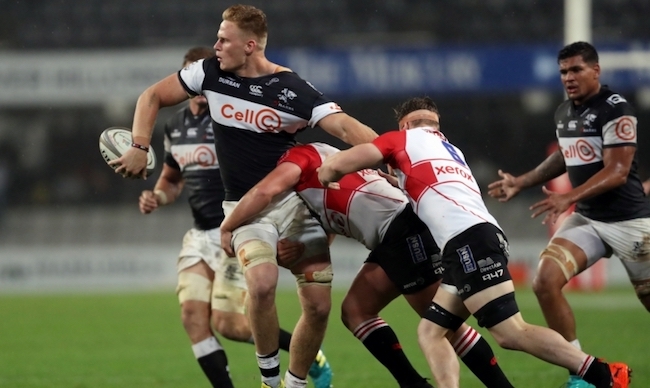 If Province are able to lay another solid platform up front, a formidable backline – with Damian Willemse back at 10 – will be expected to shred the Bulls’ dodgy defence. Ultimately, if WP can ensure that they avoid any threat of complacency, they should take another step towards a successful title defence.